Bev has had a diverse public and private sector career both as an operational and strategic manager. This work includes ministerial briefings, drafting legislation and project management of large refurbishment and new building projects across the UK. She has managed teams of up to 150 people and budgets of several million pounds and has been recruited to troubleshoot failing projects. 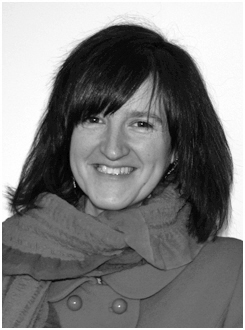 Whilst working in Whitehall, Bev trained as a person-centred counsellor, specialising in sexual harassment work, and studied for a BA in Arts and Social Sciences through the Open University culminating in a secondment to York University to complete a Masters in Public Sector Management. At the same time, she began learning British Sign Language to be able to communicate with deaf colleagues. This led to a career change in 1996 when she qualified as a tutor working with adults. 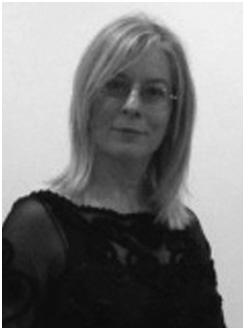 Sue Donaldson is an experienced teacher, coach, adviser, tutor and trainer. She has been involved in education for the past 30 years. 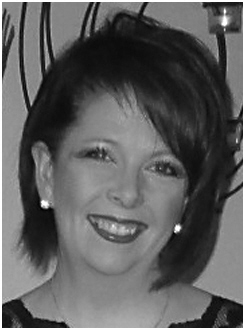 Prior to working as a consultant, adviser and coach, she taught in schools and colleges where she worked in a variety of roles including vocational coordinator (head of department), work experience coordinator, trainer for assessor awards and teacher of business studies, travel and tourism and functional skills. She also had roles in two major awarding bodies including principal moderator, external verifier for business and management and quality reviewer. Since leaving full time teaching in 1998 she has worked for a number of organisations including Edexcel, City and Guilds, CfBT, LSN, LSIS, ACER, Nord Anglia and a number of private sector businesses. Contracts have included the production of learning materials, multi-media resources, training materials and the provision of training and development. She worked on the National Change Programme (coaching Programme) as a cohort leader, trainer and coach. Other experience including working on the Vocational Support Programme, Key Skills Support Programme and the 14-19 Diplomas. As a consultant she worked as part of the international team for Edexcel and CfBT where she visited schools and colleges in Hong Kong, Mauritius, Brussels and Malta. There she was able to research a variety of delivery models whilst supporting HND delivery. More recently, Sue completed a return to teaching programme at Christchurch University; feeling that she needed to update her skills and become more focussed on the importance of learners and learning. She has recently been working for City College Norwich in the Teacher Development Unit, delivering the ILM Coaching Programme, teaching qualifications at level 5 and undertaking teacher observation. Barry is involved in the analysis, support and integration of various web-based services. He provides consultancy services as a trainer, analyst, programmer and software engineer covering both the public and private sectors, including education, healthcare, scientific, retail and legal. Barry has always had an interest in computing upon which he has based his career. In a career spanning more than 25 years, he has acquired a wide range of skills (both technical and administrative) in system analysis, design and implementation for a diverse range of computer applications. 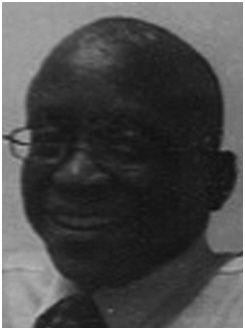 He has taken on development roles in various capacities for large multinational companies in Europe and the US. Seeing the introduction of PCs into business gave him a side interest which he subsequently developed by starting a small local PC support company to support SMEs and domestic customers in the Herts/Essex border. As a part-time PC tutor at a local college, he was involved in successfully creating and delivering a range of introductory PC courses aimed at adults approaching computing for the first time. Fiona specialises in providing project management and training and development solutions for the Education and Training sector. She has an excellent track record of client relationship management and is passionate about ensuring clients get the best service possible. Fiona is a self-starter, reliable, organised, approachable and flexible. Her experience, skills and background provide the perfect backdrop to enable her to manage a range of projects and to facilitate training and development solutions. Fiona set up her own small business after working full time at the Association of Colleges but still manages the internal and external quality assurance process for AoC Create's Leadership and Management Programmes. She is a qualified internal verifier, and is currently undertaking her Assessor Qualification and teaching qualification (PTLLS). 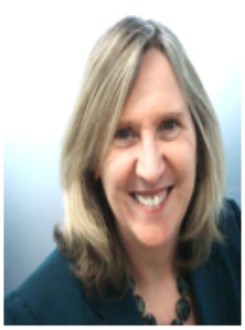 She is Programme Director for the Chartered Management Institute (CMI)and Institute for Leadership and Management (ILM), responsible for managing all aspects of internal and external moderation, assessment, candidate management and data management. Fiona has extensive experience of managing projects and budgets, some of which are large, demanding and complex, including the Senior Leadership Programme and Sector Management College. Fiona has also led research-based projects and evaluation and developed tenders for national projects. Louise is passionate about teaching and learning and has a particular interest in innovation in delivery and curriculum, effective observation practices, evidence-based practice, whole-organisational improvement and change alongside exploring ways of training and developing teachers through effective teaching and learning strategies, coaching and CPD. Her most recent work has been in supporting the strategic direction and organisational design of programmes to raise standards in the further education sector. She recently introduced a learning strategy and non-graded observation process in a London College which featured as a case study in a large national research project and was recognised as effective in supporting improvements in teaching and learning by Ofsted. She has been awarded a NIACE tutor of the year award, short-listed for an LSIS Star Award and received a University of Westminster Fellowship for excellence in teaching and learning. Louise has worked in education in the UK and overseas for over twenty years. Her focus has been in raising standards for teaching and learning at both operational and strategic levels. She has worked as a lecturer, teacher-trainer, coach and mentor, advanced practitioner, manager, Director of Studies, Head of English, Head of Teaching and Learning, Head of Quality, a management trainer and as a member of the Senior management Team of a large London Further Education College. In this role, she supported the strategic direction of quality improvement and development of learning. Before joining the further education sector, Louise worked overseas in four countries and set up a school in the South of Thailand. She has worked on a range of national projects and research including teaching and learning improvement, observation of teaching and learning, peer observation, apprenticeship delivery, tutorial delivery an international teacher education, as well as for educational organisations including Cambridge University Press, LSIS, the Prime Minister's Initiative Fund, Centre for British Teachers, Basic Skills Agency, NIACE, NATECLA, ETF and AoC. She undertook research into teacher development for a Masters' degree at the Institute of Education for which she was awarded a distinction. 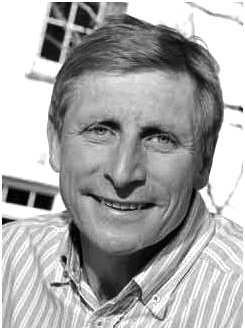 Tim is a training, coaching, learning and development coach with a proven track record of success. He focuses on assessing development requirements, designing and delivering effective programmes to meet desired goals and objectives and monitoring these outcomes accordingly. He recently led a grade 1 Academy at a large college in the South West, as well as delivering training in other colleges. He has also published articles for the sector. He has most recently been engaged with 60+ educational providers offering efficiency saving and continuous improvement solutions by leveraging the principles, thinking and tools associated with 'Lean Thinking'. He is an ISB Board Special Interest Group Member, where he has consulted on creation, management, implementation, adoption and migration of sector wide standards in education. Tim's extensive training experience include developing and delivering highly motivational training programmes for all levels of teams, projecting effective solution analysis for best working practice, strategy development, change management and implementation solutions to improve organisational efficiency and learner care and productivity. He has also delivered training in Operational Excellence in FE to bring about efficiency and financial gains; and has developed a web based toolkit to provide self-assessment of provision under the Ofsted Common Inspection Framework. Susan's expertise is as an integrative Counsellor, working within the guidelines of the BACP's ethical framework to promote trust and provide a safe, confidential environment for individual personal/group therapy. She counsels young people (14-24) in schools and the community, offering one to one, non-judgemental support and understanding to help facilitate self-awareness and responsibility. She provides support for vocational learners with learning support needs including dyslexia and mental health needs. Trained by CRUSE, she specialises in providing support for individuals dealing with loss. Susan has extensive experience counselling young people with the YMCA. 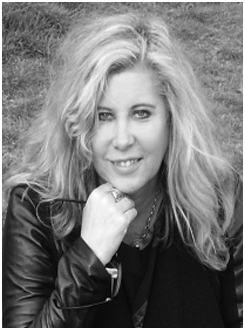 She has undergone extensive training in counselling, specialising in child abuse, sexual abuse, PTSD and bereavement. She is a member of the British Association for Counselling & Psychotherapy. She also works with adults who have learning difficulties and challenging behaviour, using a person-centred approach to help all service users to realise their full potential. 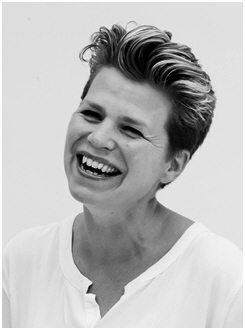 Jo is the founder and Education Director of Optima Training (UK) Limited, providing staff development for clients in the UK and overseas. She manages a team of associate trainers who deliver a range of face to face and online programmes, and is currently working with the Association of Colleges to develop and deliver managers' training and group coaching programmes. She is a highly experienced coach and trainer, delivering leadership and management pilot modules to managers from the FE sector as well as high-growth businesses. She has worked with a range of senior management teams in prisons, FE colleges and commercial training providers to help bring about change by developing organisational strategy and improvement processes. Her clients include: UK Trade and Investment East Midlands; Fontainebleau Langues et Communication in Paris; Colas Rail. She is a Member of the Institute of Linguists, Business Language Champion working to promote language learning in schools. As a strategic and tactical marketing consultant, Jon has worked with senior management teams, helping them develop and refine their brand and strategies. He has facilitated senior team meetings and creative sessions to aid the development of effective marketing goals, objectives and strategies. As a coach and learning facilitator, he has worked with senior, middle and front line teams, helping them implement strategies, manage change, facilitate innovation and ideas development. He has extensive experience of working with high growth entrepreneurial businesses and their owner managers, working as both a coach and a marketing consultant. He is MBTI licensed and works with organisations, helping them develop their teams at all levels. He has researched the elements of effective teams and now uses this learning to help organisations achieve goals and meet the diverse challenges that continually face them. 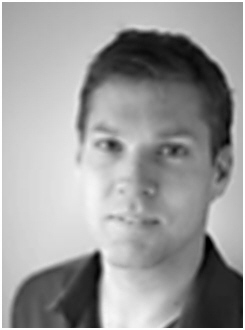 Jon is a Fellow of the Institute of Marketing, holds a post graduate diploma in marketing and has an MBA. He is an experienced consultant, facilitator and business coach who has worked successfully for over fifteen years with a wide range of clients in the profit and not-for-profit sectors. He has held senior management and marketing roles in the commercial and public sectors working in a number of areas including: information security, tourism, education, retail and training and development. As well as a number of coaching and other management related qualifications, he has developed national learning programmes and marketing 'toolkits' for the tourism sector and written a range of team building and coaching programmes for a diverse range of clients both large and small.